T-Mobile announced plans to deliver an iPhone-compatible network last month despite being the only major US wireless provider that doesn't sell Apple’s smartphone. It seems that they are one step close to making that a reality, albeit a baby step, by having a HSPA+ compatible network available for Apple Worldwide Developer Conference attendees at the Moscone Center next week. Yesterday a 9to5Mac reader was reportedly walking by the Moscone Center with his unlocked iPhone 4 on T-Mobile and noticed that his handset switched over to 3G. As he left the area, it defaulted back to the EDGE network. This led the publication to speculate that T-Mobile might announce a compatible iPhone at WWDC. We don’t yet know if that’s the case but T-Mobile did tell 9to5Mac that they have deployed a 4G HSPA+ network on the 1900MHz band to test a live network on a small scale. A company spokesperson said they still plan to launch the service in a large number of markets by the end of this year as part of their $4 billion network modernization effort. 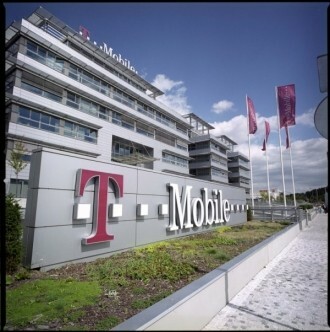 T-mobile concludes their statement by saying the timing and location of the test is merely coincidental. The wireless provider has yet to offer its customers the iPhone, lagging behind the likes of AT&T, Verizon and Sprint. Even regional carriers are getting in on the Apple action as C Spire and Cricket have recently announced plans for the handset. Prepaid provider Virgin Mobile USA, a Sprint brand, announced yesterday that the iPhone would be coming to their network on June 29.